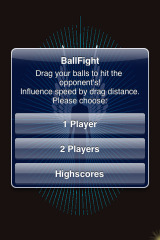 BallFight is a new game available in the Installer.app through the Soneso Repository. 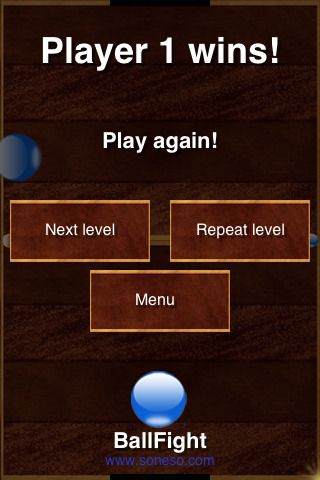 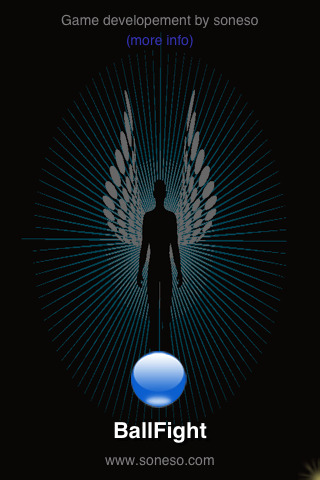 The app opens to the typical Soneso intro screen…just tap the screen to bring up the main menu. You will then get the option for 1 Player (you vs computer), 2 Player (you vs another player) and Highscores. 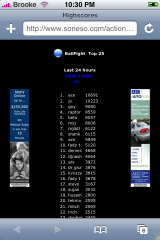 If you tap on Highscores it will bring you to the online database displaying the top 25 scores…you also have the option to view the top 50 scores. If you tap on 1 player it will bring you to the play screen…you will see two rows of balls…orange on the top, blue on the bottom (you are blue). 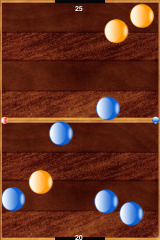 The point of the game is to get your opponents pieces into the goal on either end of the play screen by hitting their pieces with yours. 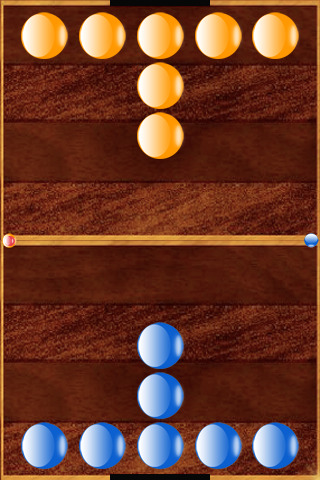 To move your piece…tap and drag it. 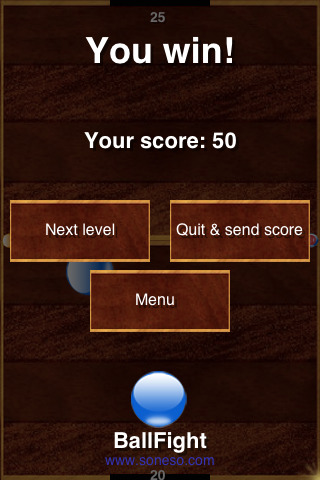 Once you have made a goal…it will keep track of your scores in front of each goal (I would give you more detail on how the scoring works but, I can’t figure it out!). 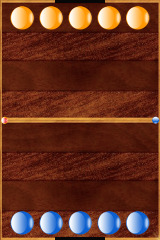 When the game is over you will get a screen telling you if you have won or lost and your score. 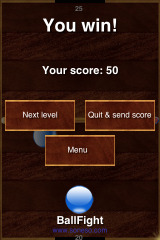 You can then choose to play the next level, quit and send score or go back to the main menu. 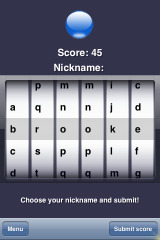 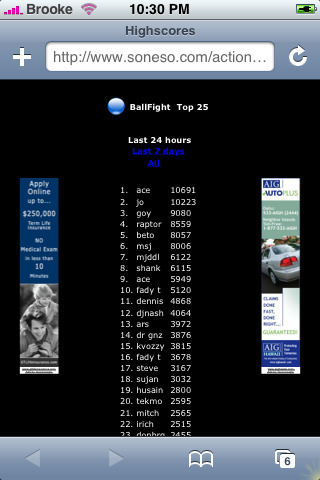 If you quit and submit score it will bring you to a scrolly wheel where you can enter your Nickname. 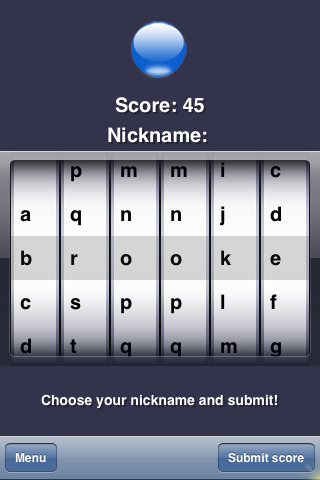 To submit your score just tap on the Submit Score in the lower right corner or you can go back to the main menu by tapping Menu in the lower left corner. 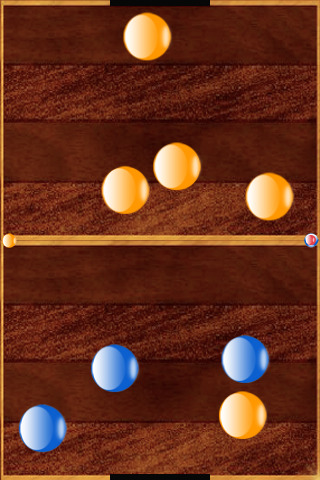 If you decide to go to the next level it will open to the play screen but, the pieces will be set-up differently then the previous level.